I have read a number of books since I last wrote a post here on Review This and I had to do a bit of a debate with myself as to which one I would write about today since they have all been such good stories. Please stay tuned for more reviews of books that you should add to your reading list! 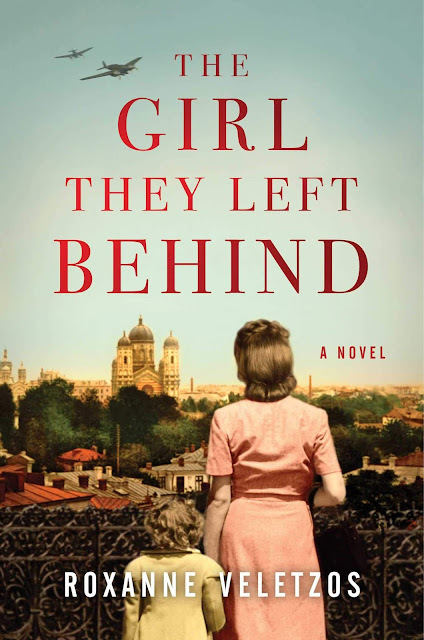 The Girl They Left Behind, by Roxanne Veletzos, is a moving story. The title tells exactly what the book is about. Quite literally, a three-year old girl is left behind in Bucharest, Romania in 1941. Her parents abandon her on the steps of an apartment building in the face of Nazi persecution with the hope that she might somehow survive. What a brutal decision. At first I struggled with this book because it seemed not just heartbreaking but also outlandish that anyone would abandon such a young child and expect her to survive in a place where people would not be quick to take in an unknown child. I know these things and worse happened, but I still struggled at first with this theme. The little girl is rescued and then left with an orphanage until eventually a wealthy family adopts her and renames her Natalia. Because of her age, she quickly puts all early memories of her birth parents behind her though of course, the abandonment would haunt both her birth mother and father forever. The story is slightly unusual because it deals with the persecution of the Jewish people in Romania and of communist life behind the Iron Curtain in the Soviet Union. 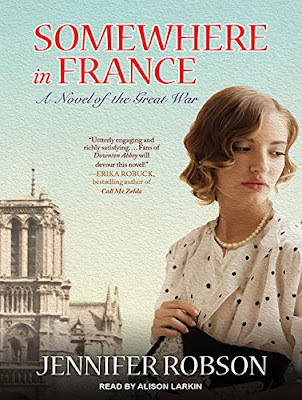 I have read numerous similar stories set in other countries like France, Germany and Poland but I am not sure if I have read another one set in Romania and I expect I have read few set behind the Iron Curtain. Anyway, the story is a tangled story of survival that spans decades and eventually sees Natalia give up her adoptive family and her love in order to start a new life in the United States. The story is one of those impossible-but-true stories. 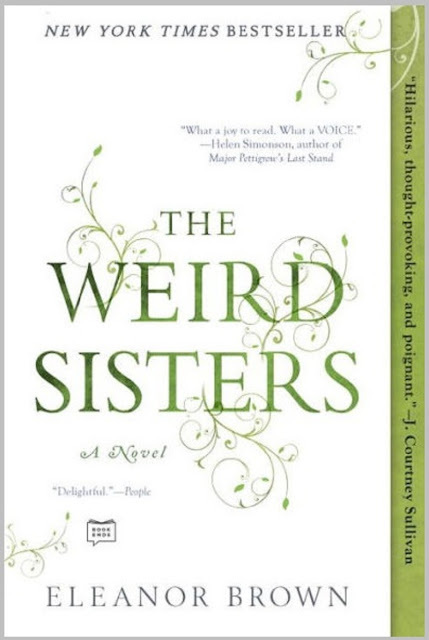 It turns out that the author, Roxanne Veletzos, was born in Bucharest and eventually moved to California and that this this book was inspired by her mother's life though I do not know if in fact she was abandoned by her parents. The Girl They Left Behind is in my opinion very well told. It is engrossing; you will not be able to put it down. It is about family and love and history. It features drama and suspense and even has an ending that will satisfy you. Yes, this book is HIGHLY RECOMMENDED by me. 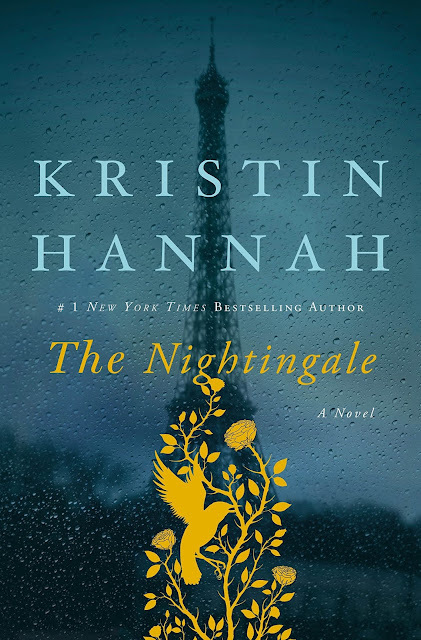 If you enjoy historically based fiction like Sarah's Key, The Nightingale, The Ragged Edge of Night, All The Light We Cannot See, The Piano Maker and The Orphan Train you will enjoy this book. You can buy your copy in the format of your choice on Amazon by clicking right here. Buy The Girl They Left Behind on Amazon. 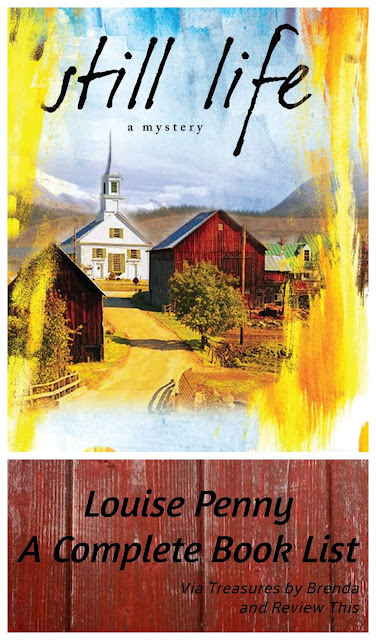 Find more HISTORICAL FICTION on Review This! In The Guilty, David Baldacci takes you on a non-stop, action packed adventure in Cantrell, Mississippi. When a top ranked government assassin is unable to perform his job, he heads home to deal with unresolved issues from his past and winds up embroiled in his father's murder investigation. Making matters more difficult is the fact that he has been estranged from his father for 20 years. Talking to his father is no easier now than it was when he was a lad and his father's life being on the line does not seem to make a difference. His father wants no help from his son and is resigned to his own personal situation. Robie, however, refuses to let his father take the murder charge without fighting back. His efforts, combined with those of an equally skilled coworker, to save his dad eventually help him start a proper relationship with his father. Better late than never, as they say. It turns out that his book is about murder and about family. I was amazed at the action that took place in the first half of the book, which meant that there was lots more still to come. It was fast paced and hard to put down. Yes, The Guilty is HIGHLY RECOMMENDED by me. Read more about it or order your copy from Amazon by clicking right here. 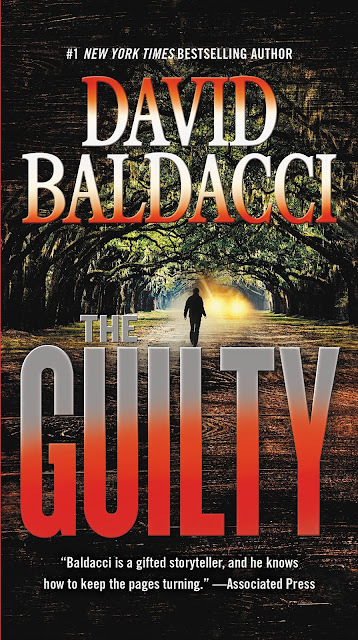 As it turns out, The Guilty is number four in a series called Will Robie and David Baldacci has written many other books, which I look forward to checking out. It is always great to find a new author that you enjoy and if all of Baldacci's books are as good as this one, I will have some more sleep deprived nights ahead. Order The Guilty from Amazon here. 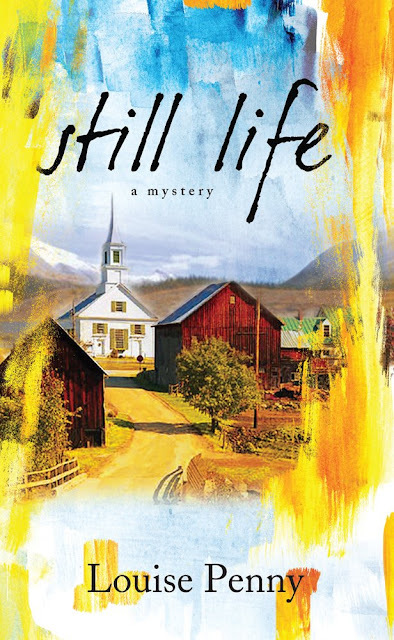 See David Baldacci's author biography on Amazon. It’s been literally decades since I read a Stephen King novel. I believe that the last one that I read was Misery in 1987, before my grown up children were born. That book was simply too horrible for me. Later, for whatever reason, I watched or tried to watch the movie version of that story and that cinched the deal for me. I have not read a Stephen King book since then and not seen many of his movies either. That is, until the 2014 book Mr. Mercedes was chosen this year as one of the reads for our book club. Now I am wondering what I have missed in all of the books since 1987 as I thoroughly enjoyed Mr. Mercedes. 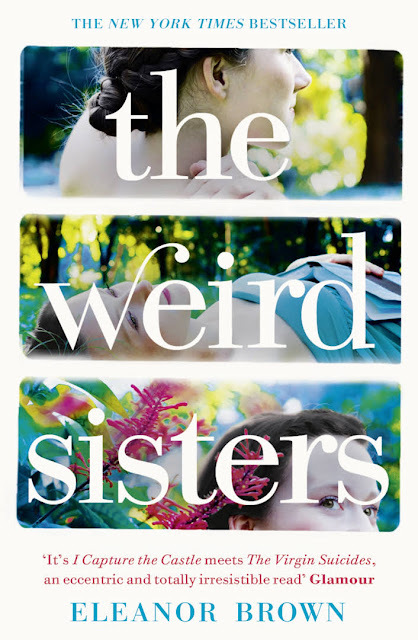 It was not too horror-ible at all though horrible things do happen in the book. However, it is a fast paced crime or detective story rather than a horror story. It is riveting; another book that I could not put down. A race-against-time thriller. It is very well written with well-developed characters that include a retired police detective and a psychopath. 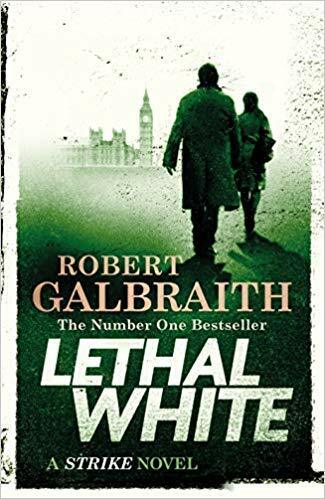 The police detective is not enjoying his retirement and is pulled back into one of his last, unsolved cases, that of the Mercedes killer. The psychopath is, as The Globe and Mail says, “one of King’s great creations, twisted and deranged, but cringingly human.” On the outside, he is ordinary and could be one of your neighbours. However, on the inside he has many issues. What results when the detective and the psychopath collide is a riveting story with two men ‘fighting’ to the end. Mr. Mercedes is HIGHLY RECOMMENDED by me and by the Globe and Mail, too, LOL. It is exciting that I just discovered that Mr. Mercedes is a trilogy so I (we) have two more books to read in the series, including Finders Keepers and End of Watch. I only hope that they live up to Mr. Mercedes. There is also an AT&T Original mini series that has just started as I write this in August, 2017. I watched the trailer just now on Youtube and cannot decide if I will be watching the program or not. I have prematurely made up my mind that it cannot live up to the excellent book but I will be waiting to see what people think of the mini-series. As always, I recommend reading the book first. You can learn more about Mr. Mercedes or order your copy of the book from Amazon by clicking here. 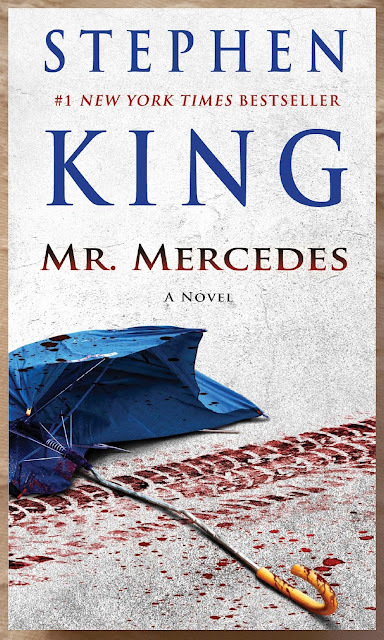 According to Wikipedia, Mr. Mercedes is King’s 62nd novel, though only 44 feature his name. He says that this book is based on a real incident in which a woman drove her car into a McDonald’s restaurant. Will you be reading Mr. Mercedes? Buy your copy of Stephen King’s Mr. Mercedes from Amazon. 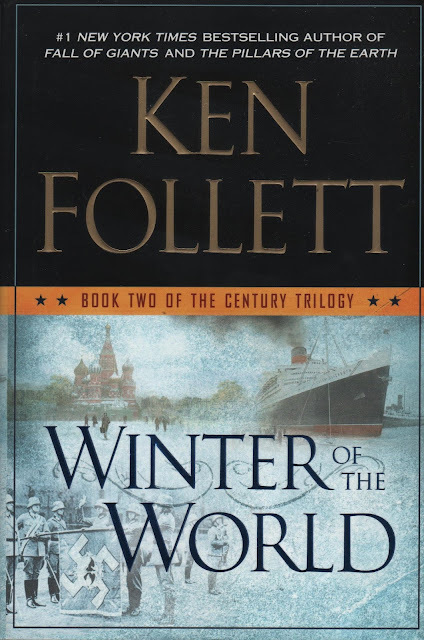 I am thoroughly enjoying Ken Follett’s the Century Trilogy and totally unable to put it down. The three books are based on what happened in world history between the years of 1911 and 2008. Those story lines include the Russian Revolution, the suffrage movement, the rise of Nazi Germany, World War II, the atomic age, the Cold War, civil rights, assassinations, mass political movements, Vietnam, the Berlin Wall, the Cuban Missile Crisis, presidential impeachment, revolution, rock and roll and of course both good and bad from all of those time periods. To tell this story, Follett skillfully weaved together generations of five families from America, Russia, Germany, England and Wales. 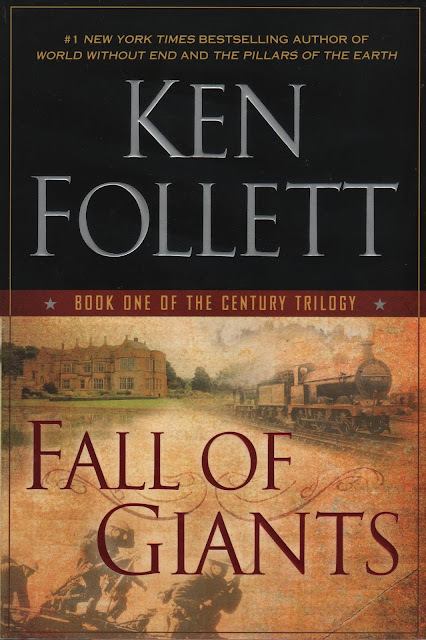 I picked up the first book, FALL OF GIANTS, as a good long read for our recent Panama Canal cruise and I have been steadily working my way through the series for a couple of months. I am often pulled away kicking and screaming from books in order to turn my attention to an “assigned” book club book. Leaving the second book, WINTER OF THE WORLD, for a grumpy old geezer in A MAN CALLED OVE was downright difficult although worthwhile in the end. Currently, I have had to put the third book, EDGE OF ETERNITY, down to read LEAN IN, a book about women, work, and the will to lead, which is not compulsive reading for me and definitely not middle-of-the-night when-you-cannot-sleep reading. Anyway, in case you cannot tell from my enthusiasm, I HIGHLY RECOMMEND Ken Follett’s Century trilogy. I caution that as a world history book it definitely has violence and it also has sexual content. However, I believe that most of the violence and some of the sexual content was required to tell this realistic story. The three-book series contains 2,991 pages and each book is encyclopedic in length so for ease of reading I highly recommend purchasing it as an eBook or if not an eBook, then as a paperback book. We own the hardcover version and each I just weighed them and discovered that each one weighs an average of just over 3 pounds. They are heavy. Ordinarily, I prefer to read physical books because I spend much of my working life using a computer but in this case because of the sheer weight of these books I really, truly preferred to read them on my cellphone. You can find the Century Trilogy in hardcover, paperback and electronic versions on Amazon by clicking right here. I looked for and with some difficulty eventually found a boxed set both in paperback and hardcover editions. You can find the gift sets here. I believe that this series would make an absolutely brilliant gift idea for anyone male or female who likes a good historical novel. Of course, gifting the first volume alone would be a good idea, too. Is there a movie? No, there is not and Follett himself says in this Washington Post interview, that if they were to make a mini-series that it would be the longest mini-series ever made, that it would be very expensive to make at least partly because he would not allow it to be done cheaply and that a mini-series was therefore, not likely to happen. 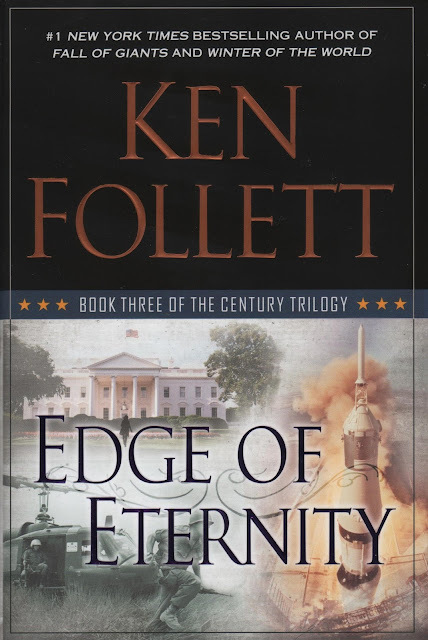 Have you read Ken Follett’s Century Trilogy? 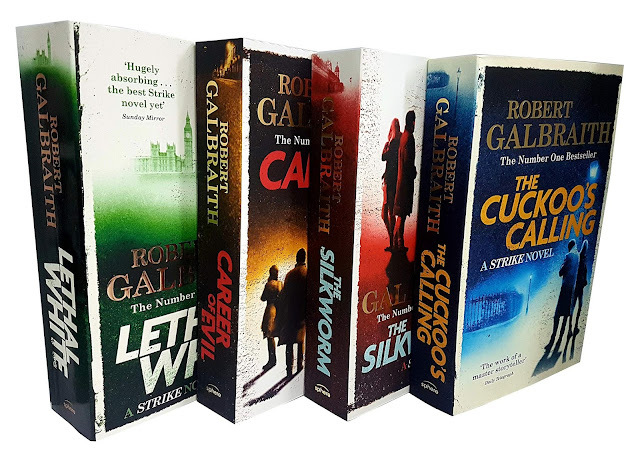 Are there any other Follett books that you have read, thoroughly loved and would recommend to us? 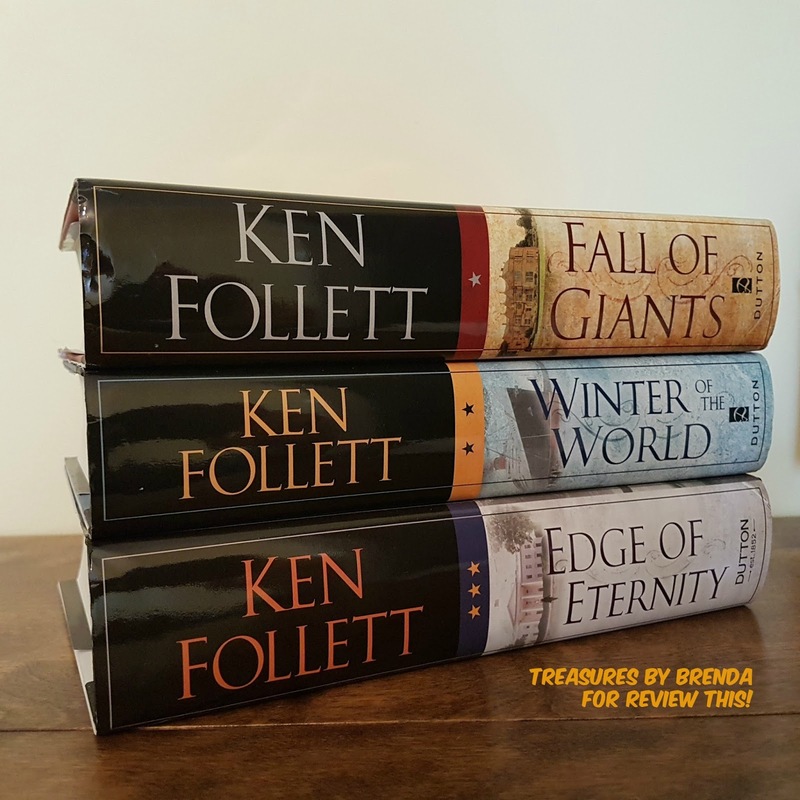 Buy Ken Follett's Century Trilogy books on Amazon. 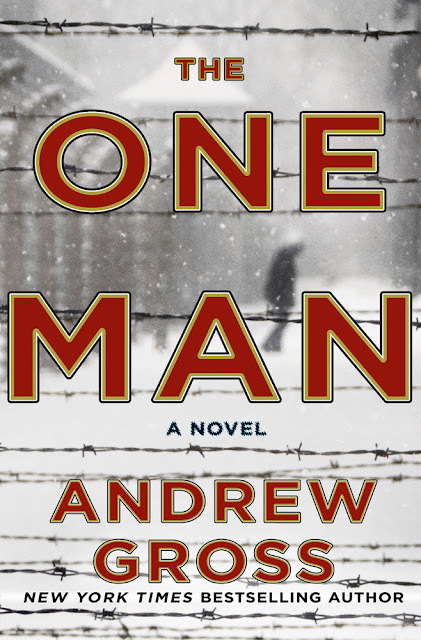 Set in Poland in 1944, Andrew Gross’ The One Man tells the story of a man and his family rounded up and sent to a Nazi concentration camp after a failed escape attempt. Alfred Mendl carries with him his important research but that work is promptly burned on his arrival at the camp. You have likely guessed that Mendl is not just another prisoner. It turns out that his knowledge in the realm of physics is information that only two people in the world know. The other man with this knowledge currently works for the Nazis and the Americans are desperate to gain Mendl’s knowledge so that they can win this war. Meanwhile, in the United States, Nathan Blum works steadily away at decoding messages from occupied Poland. Previously, he had escaped the Krakow ghetto. Because his entire family was executed after his departure from home, Blum wants to reap revenge for his family and eventually agrees to go back to Poland to break INTO the concentration camp with the end goal of helping Mendl escape and bring back his physics research. Of course, breaking into a concentration camp is unheard of but getting out is really the difficult part. 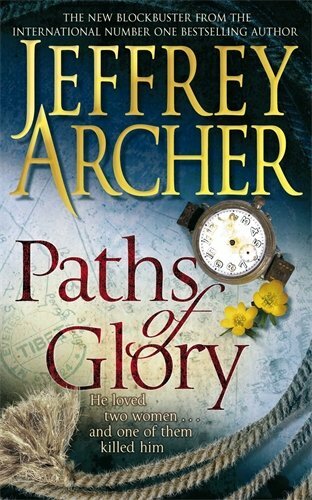 This book is part historical fiction and part thriller and it is definitely a page turner. It is emotional and it will take you on a horrifying journey. I don’t think it is a spoiler if I say that I finished reading this book with tears running down my face, which is pretty unusual for me. 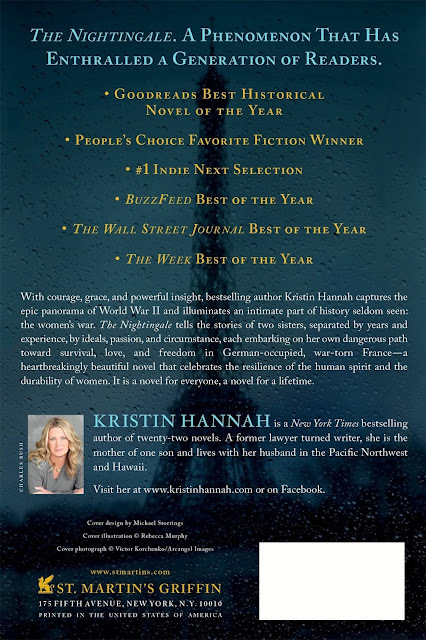 Yes, The One Man comes HIGHLY RECOMMENDED by me for anyone who enjoys World War II fiction and a gripping story. Author Steve Berry says, “Haunting and thrilling…A masterful blend of family and duty laced with heroism and characters that are intriguing and richly drawn...You must read it!" You can read more about The One Man on Amazon here. 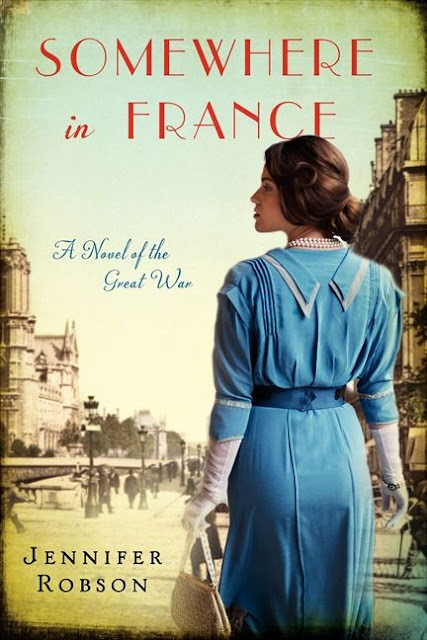 Do you enjoy historical fiction? Will you be checking out The One Man? First off, a confession. I have not read a SINGLE solitary John Sandford book. There are, however, many of them in my household. Over the course of the last couple of years, my husband Chris discovered John Sandford and worked to collect and read his way through every single one of Sandford's books. I have a feeling there will be a Sandford book in my future. Chris' most recent read was Extreme Prey and what follows is his review, which I thought I would share with you here. John Sandford’s Extreme Prey is an exceptional read. In the previous novel, the protagonist Lucas Davenport was leaving the Minnesota Bureau of Criminal Apprehension (BCA) with his daughter Letty asking, “What are you going to do next?” Extreme Prey flawlessly transitions Davenport from a badge carrying cop to a private citizen doing a favour for the state governor Elmer Henderson; a favour that finds Davenport investigating a potential threat against a presidential candidate. The fact that Davenport is not carrying a badge and has no authority kicks the story up a notch. Davenport uses old contacts and his reputation to gain support from local police while trying to convince others that there is a real and credible threat. Of course the threat is real and time is short, so the action is non-stop. As the story unfolds, Davenport chases loose threads of evidence as he puts pieces of the puzzle together until the climactic scene arrives that is so engulfing that it will make you miss your bus stop; at least that happened to me. 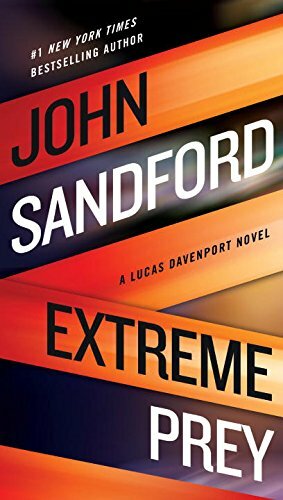 For long-time fans of John Sandford, Extreme Prey effectively interweaves characters from previous books into the action as well as providing cameo roles for characters from the Virgil Flowers and Kidd series, also by John Sandford. If this is your first time reading a John Sandford book and don’t insist on starting at the beginning of a series, you will find a great read that can stand alone. Sandford gives you enough information to introduce every character without slowing down the action or distracting from this story. Extreme Prey is HIGHLY RECOMMENDED for anyone who likes police mysteries. For current fans of the “Prey” books you will find it an exciting surprise as Lucas Davenport adapts to not having a badge and the official support of the BCA. Personally I am already looking forward to Golden Prey scheduled for release in April 2017 to see what’s next for Lucas Davenport. Extreme Prey definitely sounds like an excellent read to me and I have to thank my husband for the introduction to another author and for writing this post. I am especially thankful that he shared the fact that this book caused him to miss his bus stop. What a hoot! Will there be a John Sandford book in your future? Order Extreme Prey on Amazon. Steve Berry's Amber Room reviewed.